This home is move in ready. 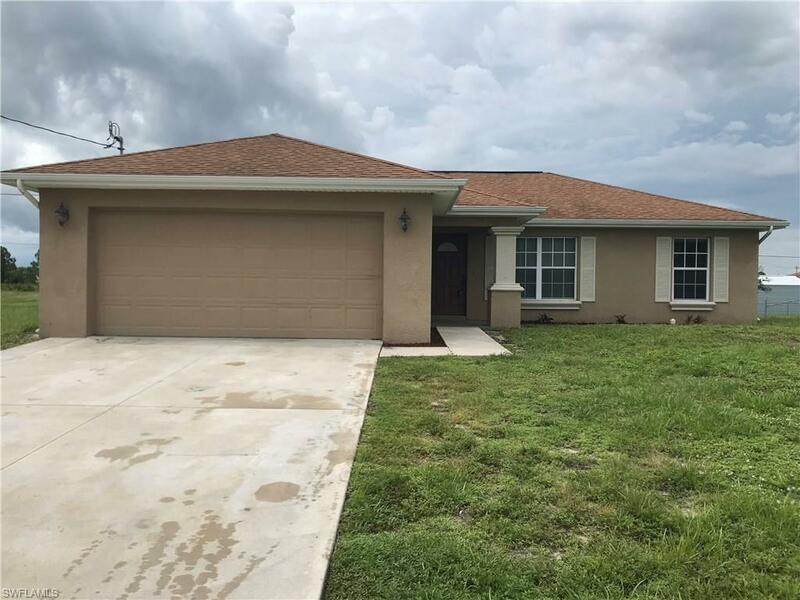 Home is close to State Road 82 so it easy access to all of Lehigh Acres and can also get to Fort Myers quickly as well. Stainless Steel appliances with a large eat in kitchen and breakfast bar. Split bedroom floor-plan. Both bathrooms have been updated and feature all new tile in showers. Computer area, large extended lanai that is wired for a hot tub. Inside laundry, lot that has room for a pool. Hurricane Impact window, and hurricane shutters for slider.